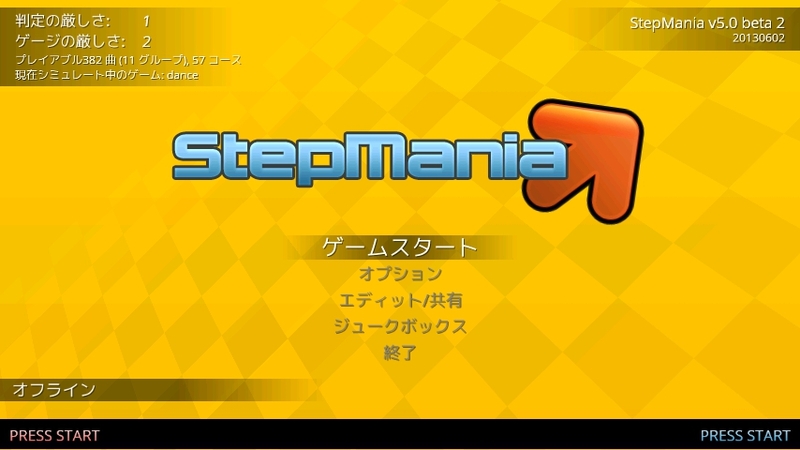 StepMania 5.0 beta 2 | 20130??? warps, more closely matching the behavior of old StepManias. theme to switch sorting methods. chart to discover which column is being triggered. packages to UserPackages will need to migrate them to Packages instead. to Song Timing would unexpectedly change all charts to Steps Timing. * [Screen] Allow overlay screens to accept codes. Copyright © StepManiaメモ All Rights Reserved.